Looking for a cheaper Airpcap compatible device? Until the release of Acrylic WiFi, WiFi frames captures on Windows were reserved for those who could buy a fairly expensive hardware, such as the Airpcap cards, therefore a an alternative to Airpcap was necessary. There are several tools on the market, mostly free as Wireshark and Cain&Abel that capture WiFi on Windows only if a hardware Airpcap card is available. These products make use of an open library, provided by Riverbed to integrate with the airpcap hardware and read packets. With Acrylic WiFi we have developed an NDIS driver that allows capturing WiFi traffic on Windows natively with most WiFi cards of the market and we have developed on it a new library that replaces the original Airpcap.dll library. This new library keeps the compatibility with Airpcap cards and gives a list of additional network interfaces with the alternative USB WiFi cards. This allows you to use any USB WiFi card and to use WiFi cards as an alternative to Airpcap and capture WiFi packets on Windows and to exploit the use of 802.11ac cards to capture traffic on tools like Wireshark under Windows. There are still some limitations to achieve a fully working Airpcap adapter alternative, as some wlan drivers are still not compatible and 40/80Mhz data packet capture is not ready yet. 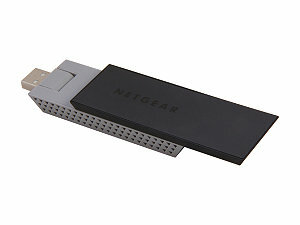 Netgear A6200 is however a good Airpcap replacement. Give a try to Acrylic WiFi professional, a software compatible with airpcap adapters that also works with alternative WLAN usb cards. * SNR data is not available with NDIS driver.